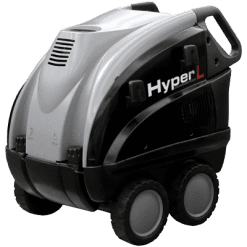 The HYPERL2015 hot water pressure washer has a large 7000W, three phase electric motor working a three piston plunger pump pushing out 15 LPM at a serious 3000PSI. It also features a stainless steel coil with a unmatched 5 year warranty. 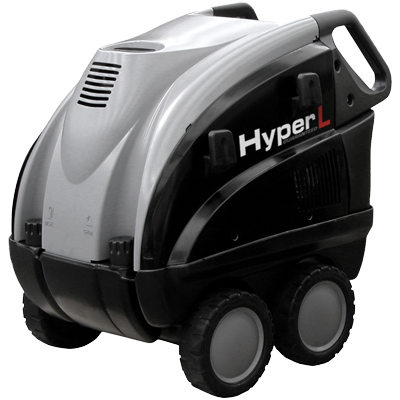 Because of these specs, it is a top of the range pressure washer for serious cleaning needs. 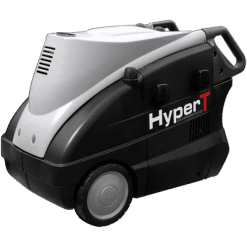 Like most in the Hyper range, the unit has an elastic joint coupling between the motor and the pump. As a result, this absorbs all the stop and start shocks to ensure a long hard working life for the unit. 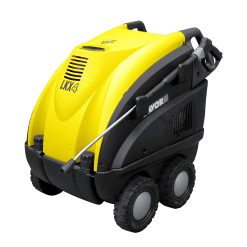 The pressure washer has a water cooled three phase motor, high pressure detergent application and an automatic anticalcium injection system. 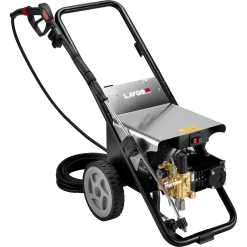 Accessories which are standard to this machine include a stainless steel lance, with heavy duty industrial spray gun with pressure adjustment. Also included is a 10 metre high pressure hose. In conclusion, the user has all the features you could want on a top of the line machine.